Fieldlens is a better way to document and communicate about your project. It's real-time information added by you and your project team about what's been done, what's getting done and what needs to get done. It all starts with posts. 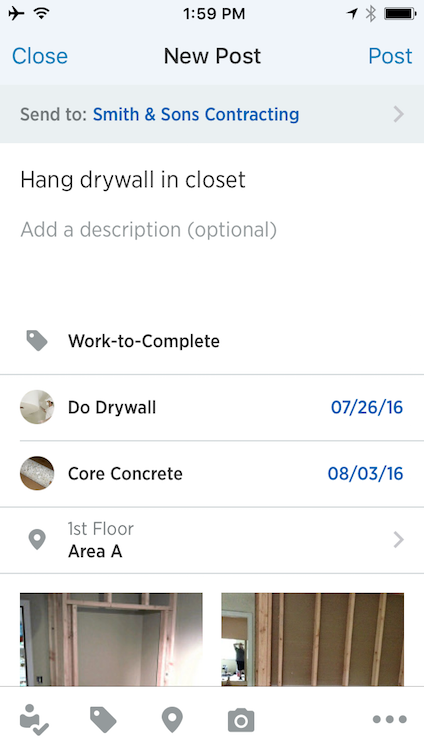 Posts make it easy to keep your team informed, assign and track work, and always find information when you're looking for it. So how do you know when to post? Keep this in mind - you'll post for only THREE major reasons. Know them and you'll be set. Just in case - documenting something in case you need it later. Something needs to get done. Something has gone wrong and needs to be fixed. Just in case means something needs to be documented, remembered or reported on. 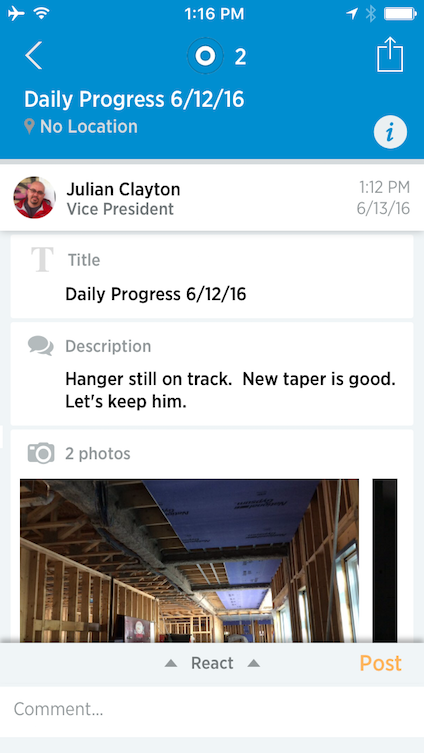 Examples might be posts that you include in a daily report, progress or in-wall photos, or potential problems you want to keep your eye on. When something on the job needs to get done it's easy to get the details to the right people, right away. Document the issue and assign it to the person or people that need to get it done. They'll be notified immediately and be able to ask questions and let you know when it's done. 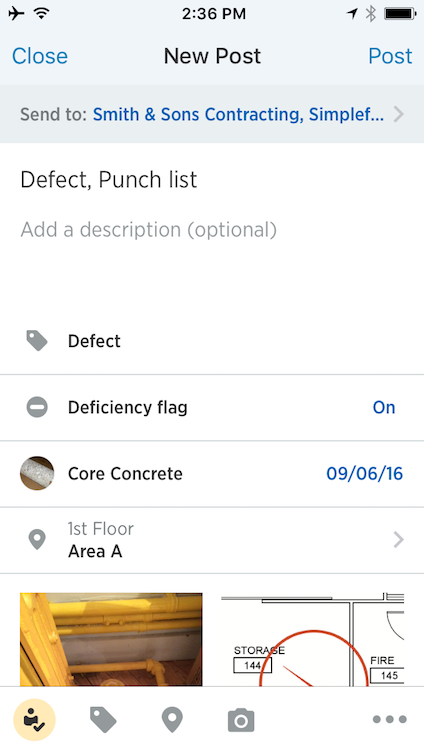 Whether it's punch list, prepunch or just something you notice walking the job - when you find something wrong you need to document it and you need to get it fixed. Assign it to yourself or anyone else and track it through resolution. Keep these three things in mind and complete our lesson on Creating a Post to learn everything that you can do with a Fieldlens post to get yourself going.